With all that Victoria James has accomplished at 26 years old one starts to wonder whether the wine world will be forever changed by this vibrant woman. Born in Maryland, James moved with her family several times before they landed in New York City. At thirteen years old, she was working, as a waitress at a greasy-spoon diner. It was a financial necessity. Despite the hours associated with the graveyard shift, and a few unsavoury clients, James discovered that she enjoyed working with people. This experience was her launching pad for a career in fine wines. 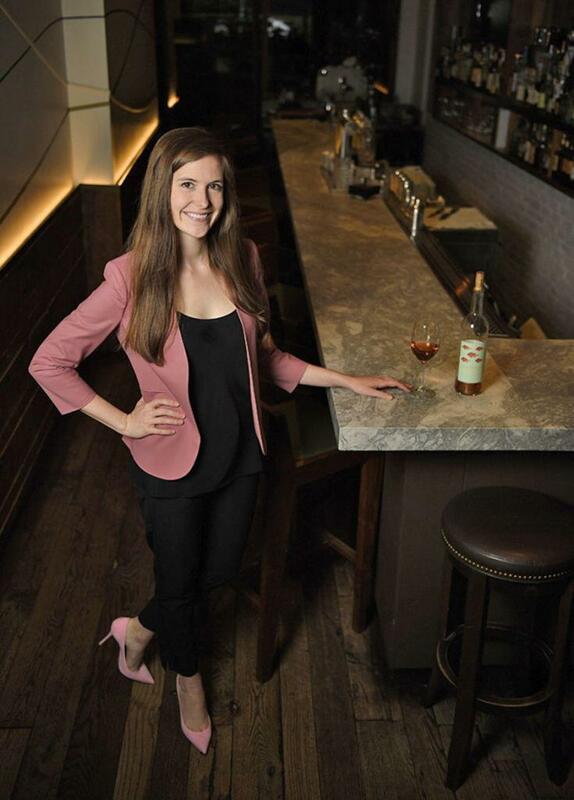 Victoria James was just barely able to legally drink in New York State, when she became a Certified Sommelier at 21-years old, in October 2012. By this time, she had dropped out of Fordham University to pursue a full-time career in food and wine. James became a Certified Sommelier, in less than a year. This achievement required an immense amount of discipline for a self-study course load and the Court of Master Sommeliers’ examinations. James credits her success with memorising some 20,000 (electronic) flash cards that she prepared. 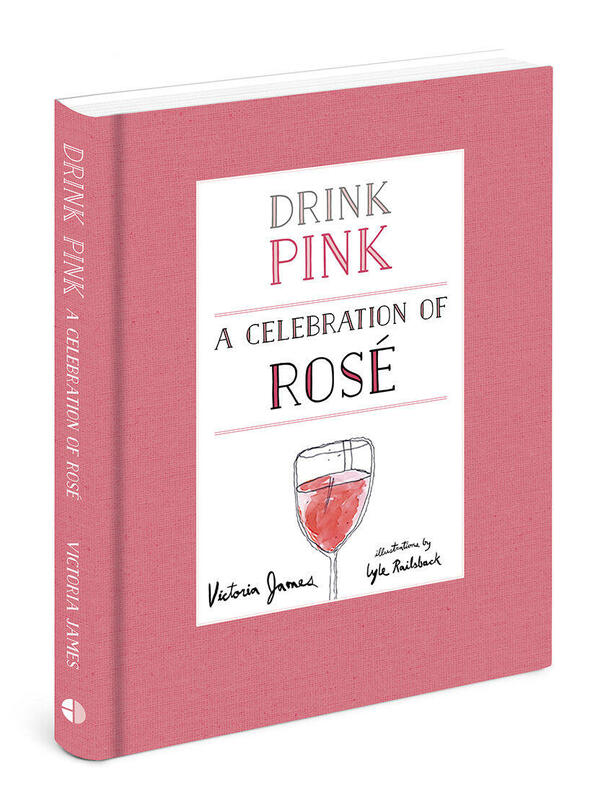 Wrapped in an appropriately pink cover “Drink Pink a Celebration of Rosé” is a quick read at 128 pages and almost as many illustrations. However, don’t dismiss Drink Pink as light. James covers the history of rosé in the Mediterranean, and why with lower tannins it was the preferred drink of ancient Greeks and Romans. Linked in most peoples’ minds with excellent French wines are bottles from Bordeaux and Burgundy. However, James explains that it was, in fact, the pink wines of Massalia (Marseille) that came first. The book moves from ancient history to the disastrously sweet pink period of Mateus and Lancers. A time-frame that most of us would prefer to have missed. Sweet, sticky headache anyone? Then along came White Zinfandel and blush wines during the 1970s. Birthed by mistake (a “stuck fermentation”) at Sutter Home Vineyards in 1975 it became immensely popular as an inexpensive drink. However, not one that wine critics or sommeliers took seriously. James explains in the book about the methods for producing rosé, and how all wines are now benefiting from a resurgence of old-school farming techniques. It is the wine drinker who is savouring the results of this trend. Drink Pink speaks to the wine industry’s movement towards organic production, biodynamic principals, blending techniques, and the fundamentals of ageing for all wines including rosé. An entirely different beverage than the pink hued 1970s drinks, today’s rosé simply tastes better. Successful marketing has rebranded it into the drink of choice for many. Don’t believe it? The surge in production and consumption numbers (covered in detail in the book) since 1990 tell the story. 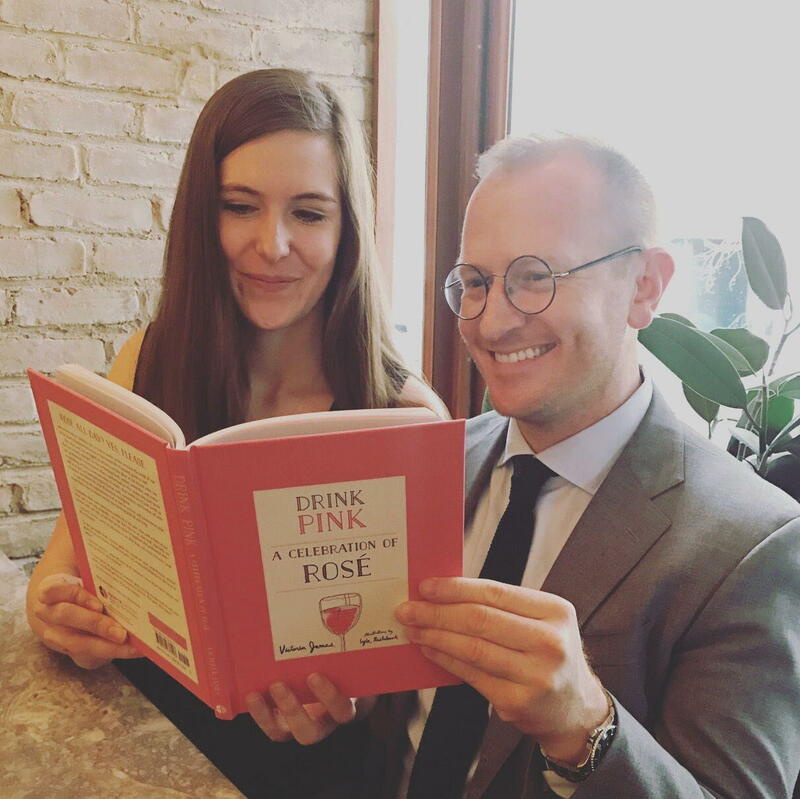 As a book on rosé, Drink Pink is both educational and a resource guide. James describes some of her favourite rosés from Provence (and some of ours too). She reviews typical grapes from the region and might convince you to try rosés produced in Bandol, Cassis, Tavel, and Palette. Perhaps the best part for culinary types are the recipes that James has chosen to include at the end of Drink Pink. 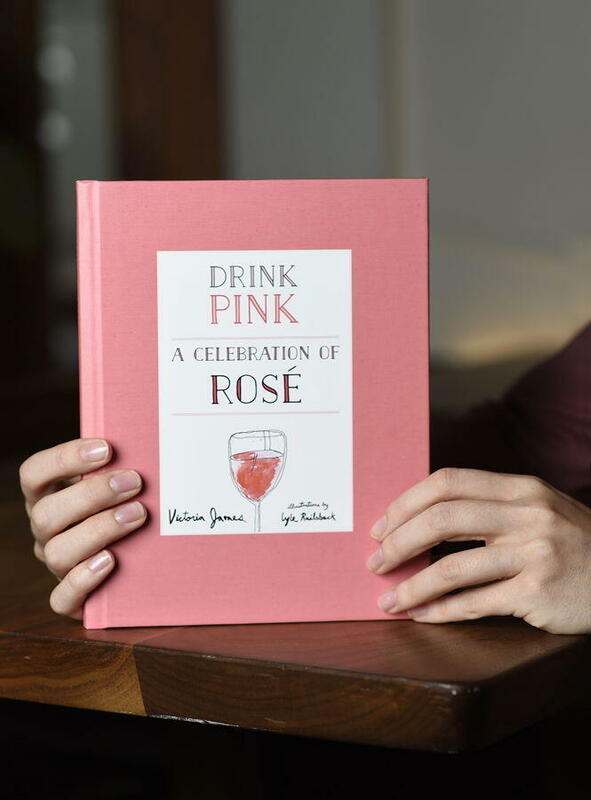 This section of the book offers a rosé-oriented culinary voyage through her recipes and those contributed by friends in the industry. Dotted throughout the book are illustrations by Lyle Railsback (James’ fiancée who is also in the wine business). 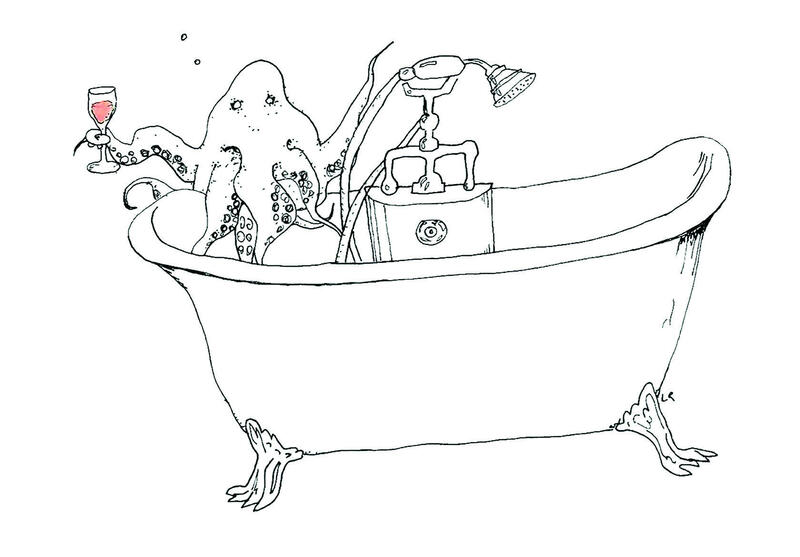 These lively images are pertinent to the text. From Jimmy Hendrix to pétanque players he manages to support and help tell her story through his drawings. However, he was a man with a deadline. Railsback had only one month to complete over 100 drawings for Drink Pink! James was lucky and hesitant. Where many first-time authors spend countless hours attempting to garner interest in their manuscripts, James was approached by a literary agent from Janklow & Nesbit. The agent had read “The Best Rosé Wines to Drink All Summer” published in New York Magazine online The Cut (2016). It was an article collaboration with Victoria James. The proposal took James that summer to write, but it turned out to be most of the book and outline. The rest she finished in one month, including countless interviews with winemakers, chefs, sommeliers, writers and foodies. Can you explain the role of a cellar hand? This person is responsible for keeping the cellar organised. This involves receiving wine orders. Then confirming vintage, producer, vineyard/wine name (if applicable), region, sub-region, etc. and categorising it in the cellar as such. In a large restaurant with lots of wine circulation, this can be all consuming, in smaller places it is usually just handled by the sommeliers. Would you say your skills are in identifying “le nez du vin,” specific tasting notes or in food and wine pairing? You could say that, but I think that is the case with any sommelier. I believe my unique skill set is personalised hospitality and connecting with guests. You have won awards and are getting serious attention in the wine world, yet you describe yourself as an introvert. The job of a sommelier is one that is much in the public eye. How do you feel it suits your personality? My job does require an outgoing personality, and I have had to learn this, it doesn’t come naturally to me. This took years of guest interaction, learning from seasoned servers and managers and quiet observation. However, I do enjoy being social, so when I flip on that switch, it isn’t forced but rather enjoyable. Outside of work I like to recharge with writing, reading, walks with my dogs, and alone time with my fiancée. I think being an introvert is what best suits this job. Sometimes, if one is too extroverted the need to always be out, with people, drinking and hanging out, can be career suicide. I am okay with not being the life of the party as it gives me time to be serious and focus on elevating my career. Thank goodness there are notable female chefs, winemakers and sommeliers. But, the industry remains competitive and male-dominated. How would you say you are charting your path? That’s true, in some senses it is still very male-dominated, which can be tricky. However, even in the last six years since I’ve been involved the industry has drastically improved. I like to encourage women to work hard and continue to stand up for what they deserve. For example, I was recently invited to do a competitive sommelier event, and I was teamed up with “the other girl” so it would “be fair.” This isn’t the Olympics, and my palate is not weaker than a man’s, it can be co-ed! I stood up for this, and they quickly changed the format, the organiser didn’t even realise that this was sexism, sadly it is so deeply engrained in the culture. To do well in this industry, you need to be yourself and if that’s a woman, be a woman! “Acting like a man” is horrible advice I was once given that didn’t work out well. A sommelier needs to expertly suggest the wine to pair with a client’s food selections and at the same time be aware of price sensitivity. What is your approach? I like to listen to what the guest wants and recommend three or four options that span multiple budgets. Once they zero in on a price point, I can then expand to other selections in that range. The best is when someone just tells me exactly how much they want to spend. I am not trying to rip anyone off, and the guessing game can be more time consuming than is enjoyable. Do you think the rosé “wave” is a trend or something that might change wine palettes forever? Rosé is here to stay, just like red and white wines. What do you see as the next evolution for rosés to move beyond the beach blanket and summer drink perception? To be enjoyed year-round, which I have seen in the last few years. I continued to offer multiple rosés at my restaurant (all year) and sales did not slow down! I read that you have a passion for Swiss wines. Why is that the case? I travelled to Switzerland in 2014 and fell in love with the wines. They can be fantastic, but sadly few come to the United States. I gobble up whatever I can find here and stock them at my restaurants. If you could only drink one glass of wine what would it be? For one lucky winner, with an address in the United States. Leave a creative rosé comment below this post and tag it #DrinkPink. The winner to be chosen via random draw on September 18th. 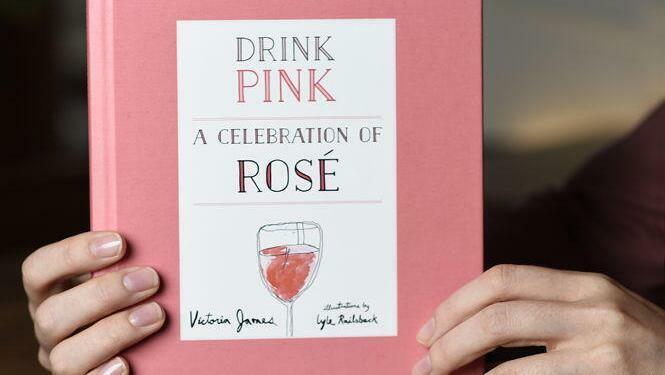 Buy a copy of Drink Pink a Celebration of Rosé. 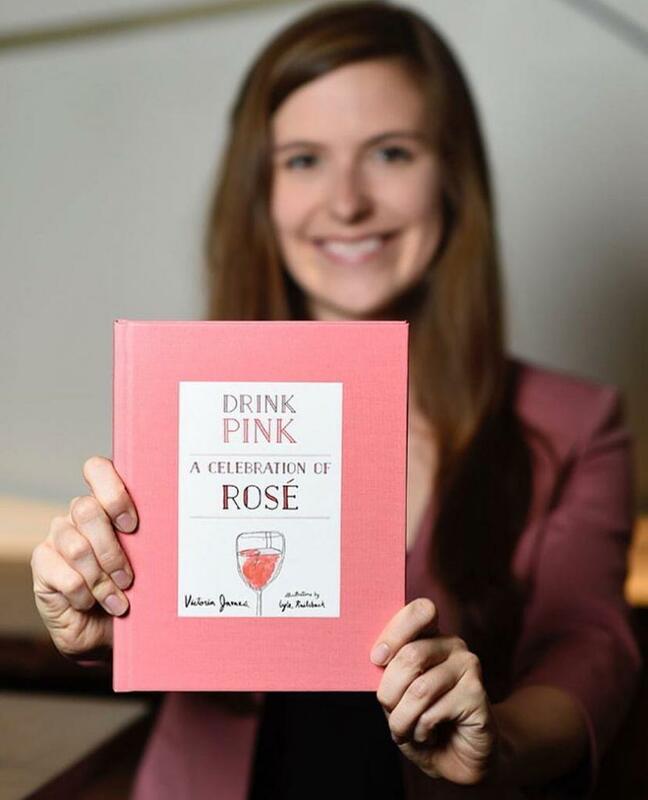 Hello Emily thanks for reading the post about “Drink Pink.” It’s Victoria’s belief (and that of many others) that rosé and other pink wines are here to stay. Bonne weekend! Something interesting. I wrote a post about Rosato (pink wine from Italy, Puglia to be exact, in the story) and it has been very popular and I’ve monitored the insight that many people are searching for Rosato wine. I think consumers want to understand what pink wine should be called, and if all pink wine is rosé (which of course it isn’t). Very fascinating! Jill you are always such a wealth of knowledge when it comes to wine (pink and otherwise). I am not sure if we have ever tried a wine from Puglia – something to add to the list. Thanks for reading and sharing. Hello Vanessa of course any wine is personal taste, but I feel there is a big range in rosé that can be explored. Thanks for reading Perfectly Provence. 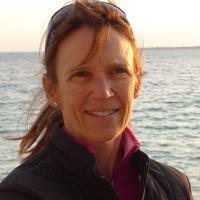 Hi Hilary: Thanks for reading Perfectly Provence. Clearly your grandfather was a character worth meeting.